CRAZY OFFER! GiGaBlue UHD Quad 4K only £249! 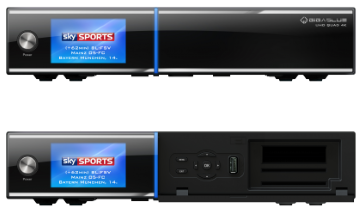 New latest version with built in DVB-S2X tuners! Thread: CRAZY OFFER! GiGaBlue UHD Quad 4K only £249! New latest version with built in DVB-S2X tuners! AMAZING GIGABLUE UHD QUAD 4K FROM ONLY £249! LATEST VERSION WITH BUILT IN DVB-S2X TUNERS! GiGaBlue UHD Quad 4K from only £249! Last edited by world-of-satellite.co.uk; 28-03-19 at 11:31.